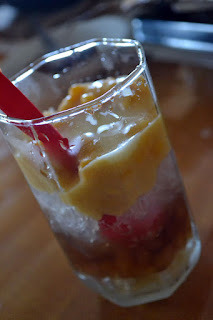 Mais con yelo is a simple yet fun dessert. 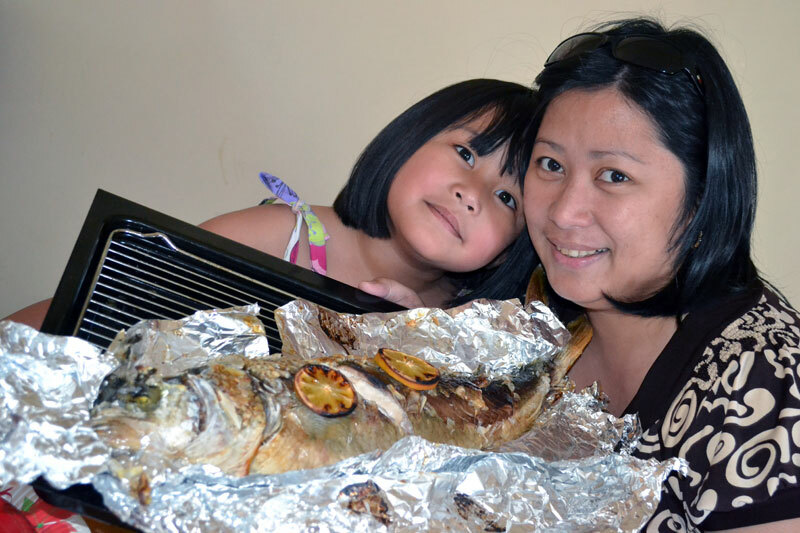 We were re-acquainted with this treat last weekend when our good friend Cacay dropped by our home for dinner - also bringing dinner and dessert with her! 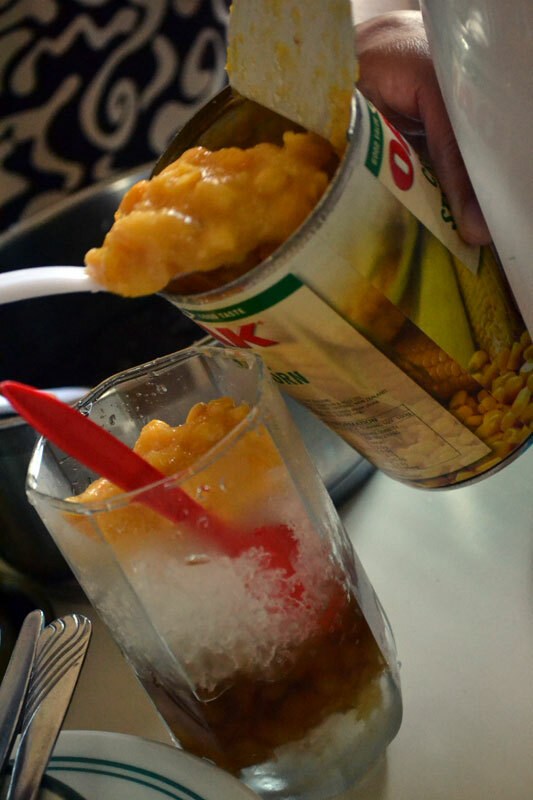 With ice crusher in tow, we proceeded to make mais con yelo after dinner. Even the process of making this is so much fun, and was the topic of conversation for quite a while. Our merry chatter was interspersed with the slushing sound of spoons mixing up the contents of our glasses, followed by slurps of contentment. What a way to spend dinner on a warm summer weekend! 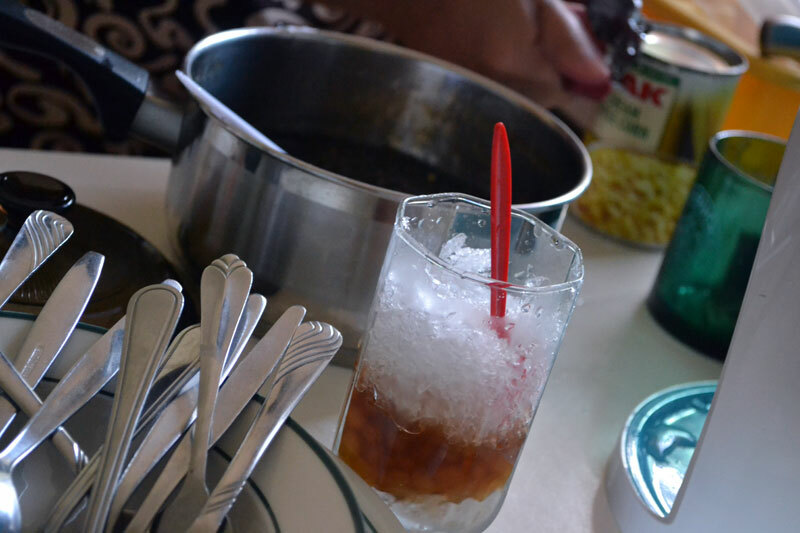 Layer the crushed ice, sago, crushed ice, corn, more crushed ice, and condensed milk. Add a layer of gulaman if you have that as well. Serve.